Also known as "The Lady with the Lamp"
She explained her environmental theory in her famous book Notes on Nursing: What it is, What it is not . She was the first to propose nursing required specific education and training. Her contribution during Crimean war is well-known. She was a statistician, using bar and pie charts, highlighting key points. International Nurses Day, May 12 is observed in respect to her contribution to Nursing. Nursing is different from medicine and the goal of nursing is to place the patient in the best possible condition for nature to act. Nursing is the "activities that promote health (as outlined in canons) which occur in any caregiving situation. They can be done by anyone." People are multidimensional, composed of biological, psychological, social and spiritual components. Health is “not only to be well, but to be able to use well every power we have”. 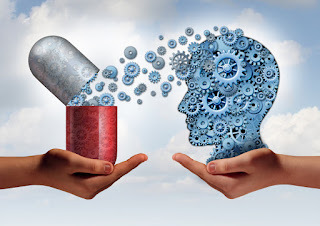 Disease is considered as dys-ease or the absence of comfort. "Poor or difficult environments led to poor health and disease". "Environment could be altered to improve conditions so that the natural laws would allow healing to occur." "Patients are to be put in the best condition for nature to act on them, it is the responsibility of nurses to reduce noise, to relieve patients’ anxieties, and to help them sleep." As per most of the nursing theories, environmental adaptation remains the basis of holistic nursing care. She emphasized subservience to doctors. She focused more on physical factors than on psychological needs of patient. Incorporating Florence Nightingale's theory of nursing into teaching a group of preadolescent children about negative peer pressure. 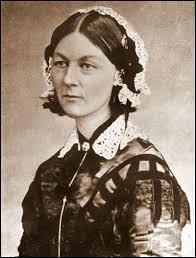 Florence Nightingale provided a professional model for nursing organization. She was the first to use a theoretical founation to nursing. Her thoghts have influenced nursing significantly. Nightingale, F. Notes on nursing: What it is and what it is not. 1860. Selanders LC. The power of environmental adaptation: Florence Nightingale's original theory for nursing practice. .J Holist Nurs. 2010 Mar; 28(1):81-8.